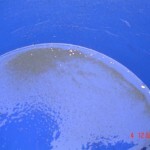 Most prospectors by now are aware that on 12 January 2015, the San Bernardino Superior Court issued an opinion that both the Legislature’s moratorium against suction dredging, along with the Department of Fish & Wildlife’s (DFW) recent adoption of 2012 dredge regulations are illegal and not enforceable as a matter of law. Here is the court’s Decision. It is a sign of the times that employees of administrative agencies only believe the law should apply to the public, not to themselves. So we should not be surprised that DFW is now acting as if the Superior Court never ruled. They have been informing the public that they intend to continue enforcing the State’s illegal moratorium. This is quite clear on DFW’s web page which was updated as recently as the 2nd of March. However, encouraged by the San Bernardino Ruling, suction dredgers statewide have been preparing for the upcoming mining season, which we believe has already begun on those waterways which have historically been open to dredging year-round within all previous California regulations. 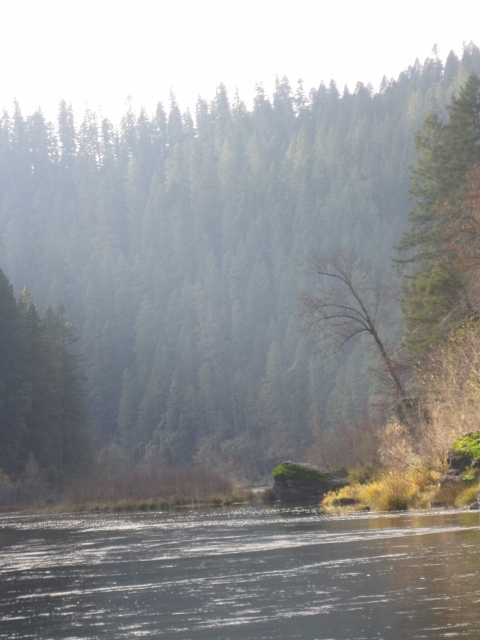 Suction dredging is already taking place along the mid-Klamath and Lower-Klamath River near Happy Camp! New 49’er policy concerning suction dredging is that we will not interfere with members who also interpret the San Bernardino Ruling to allow dredging. But our Internal Affairs staff will enforce some self-imposed dredging Rules in light of the legal uncertainties surrounding suction dredge mining. These emergency Rules concerning suction dredging are attached as the final pages of this newsletter. We are also aware that the New 49’ers Legal Fund has received financial contributions that may be available to defend members or others who are harassed or prosecuted by State authorities that attempt to enforce regulations which have already been deemed illegal by the California court system. 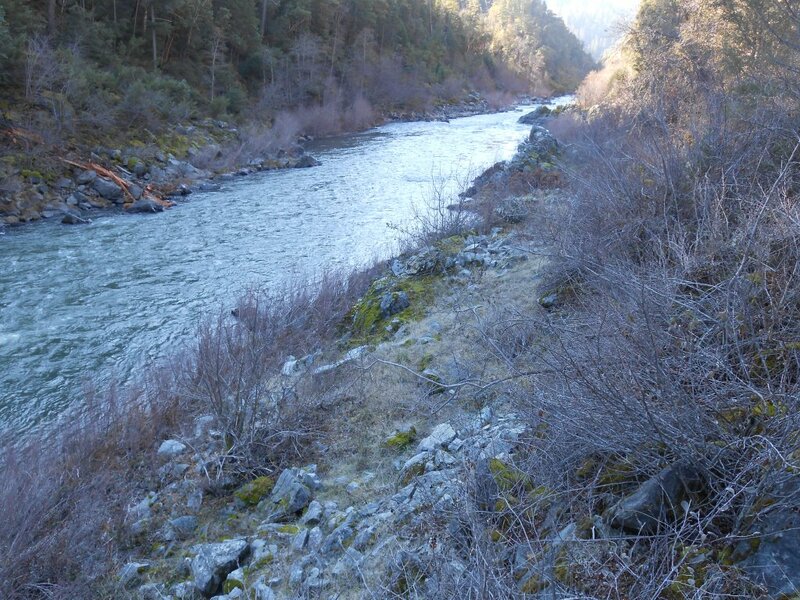 Let’s all hope that this will be one of our most productive suction dredge seasons on the Klamath River! DFW Wardens Back Off During First Contact With Suction Dredgers! 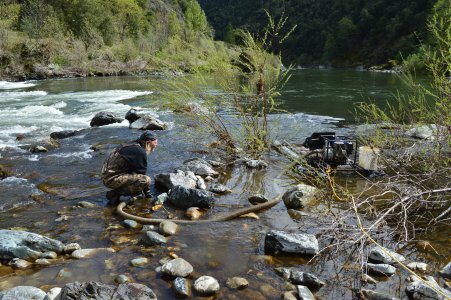 Derek: On the 3rd of April, I set up a 2 ½-inch sampling dredge on the Klamath River downstream of Happy Camp near to where I made an incredibly rich gold strike a few years ago. 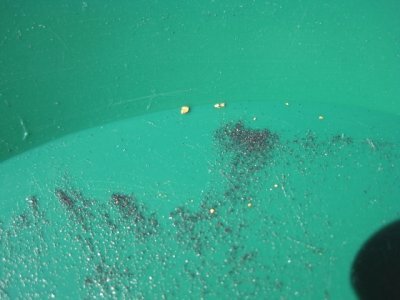 It is still early in the season, so I was just sucking up small samples to process with my gold pan. Shortly after getting started, I looked up and saw that there were two DFW wardens watching me from up on the road. John Rose was up there talking with them. So I shut my machine down and crossed the river to see if they wanted to talk to me. John: Someone had reported to the office that there was a dredge in the river down on our newer K-23AA property, so I went down for a look. Sure enough, Derek was over on the other side of the river operating a suction dredge. As I was standing there watching, the two DFW wardens arrived in their patrol vehicle. I went over and introduced myself as Deputy Director of Internal Affairs for The New 49’ers. The officers were polite and cordial. My impression is that they were somewhat sympathetic and perhaps a little embarrassed to be caught in the middle of a silly struggle over small suction dredges; and would rather have been out chasing poachers or real criminals. 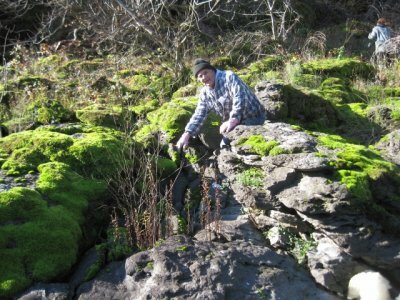 Derek: The wardens were also polite to me when I walked over to my truck and started changing out of my wet boots. When they asked what I was doing across the river, I told them I was sucking up small samples off the bottom of the river. They replied by asking if I was aware that my activity was in violation of Section 5653 of the Fish & Wildlife Code. I responded by handing them the portion of Judge Ochoa’s Decision that explains Section 5653 in its present form is not enforceable by DFW. They seemed genuinely surprised as they read the final part of Judge Ochoa’s Ruling. 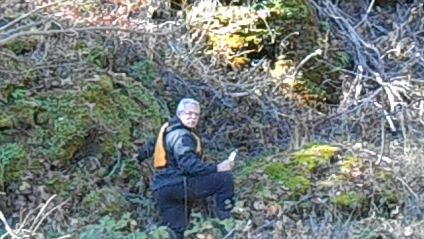 John: The wardens told Derek they were going to take his suction hose and nozzle for evidence, write up a report and submit it to their superior, who might or might not forward it to the Siskiyou County District Attorney for prosecution. When I asked how long all that would take, the warden answered that it could take several months or longer. Derek: I just told them that I would be back out on the river with another hose and nozzle on the following day! John: The wardens responded that they would just keep on coming out and taking the hoses and nozzles away, or perhaps at some point arrest Derek. So I suggested if it were going to eventually result in an arrest, why not just arrest Derek on the spot? Derek: That’s when I told the wardens that I would fully cooperate with being arrested just so we could get the whole matter in front of a judge without further delay. My suggestion prompted one of the wardens to get on the radio in their patrol car. Derek: The warden returned and said he would issue me a receipt for my nozzle and suction hose. Then he asked if I would mind going across the river to fetch them. I answered that I was not going to help them confiscate my own equipment when I did not believe I was doing anything wrong in the first place. Derek is back at it! Other dredgers are also arriving in Happy Camp. 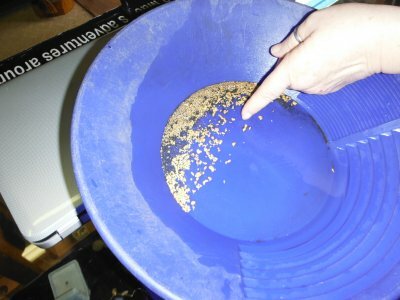 Two members dredging elsewhere on the river brought more than an ounce of gold into the office yesterday that they dredged up in a single day! That’s an image of their gold at the top of this newsletter. 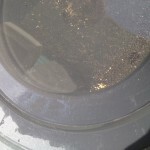 The Legal Fund is Giving Away 2 Fantastic Gold Detectors! We are very pleased to announce that Garrett Metal Detectors is generously supporting The New 49’er Legal Fund’s new fund-raiser with their brand new top-of-the-line ATX pulse induction gold detector. That is a $2,500 machine! Garrett is also donating a refurbished AT Gold metal detector as a second prize (“refurbished” means the unit was used as a demo at a trade show, but never used in the field, and then put back through quality control and repackaged in new condition). This is an $800 machine! 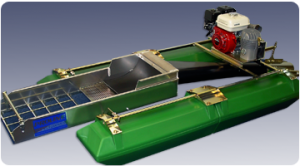 These are both fantastic gold machines which can actually be taken underwater to shallow depths! 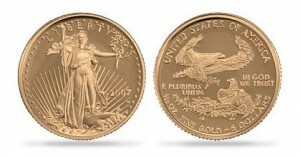 The drawing will also include 20 American tenth-ounce American Gold Eagles. You can find out more right here. Join us for our Weekend Group Mining Projects This Season! 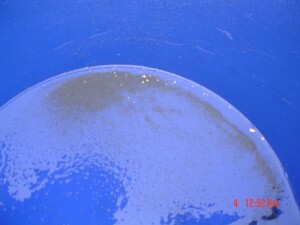 A recent Court opinion declaring § 5356.1 of the California Fish and Wildlife Code unconstitutional, together with the 2012 dredging regulations that were adopted by the California Department of Fish and Wildlife (DFW) but never made effective, has prompted some members to begin suction dredging on New 49’er properties. According to its web site, DFW appears to be taking the position that the agency does not accept the Court’s ruling; although since the ruling, they have not issued citations to any active suction dredgers as far as we know. Unregulated suction dredge activity is unacceptable on New 49’er properties. Therefore we are hereby adopting the following Emergency Rules for the duration of this period of uncertainty. Please note that we have carefully crafted these Rules from the DFW suction dredge regulations which applied to our properties during the 2009 season when the illegal moratorium was imposed. We have modified them in consideration of concerns voiced during the San Bernardino proceedings, along with the ongoing drought situation in California. 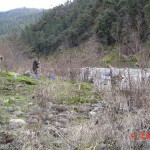 Being that we have been in active litigation with DFW and anti-mining activists over the validity of suction dredge regulations for more than 10 years, we consider this matter very serious, and will therefore immediately suspend the mining privileges of any member who does not conform to these Rules on New 49’er properties. No exceptions! 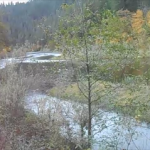 (b) Except as specified in subsections (c) and (d) below, the suction dredge class restrictions for Siskiyou County is Class E. This will apply to our properties located on Indian, Elk and Thompson Creeks. 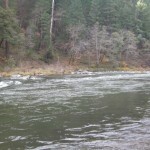 (c) A six-inch diameter intake nozzle size is permitted on the Klamath River in Siskiyou County. 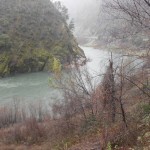 Klamath River, Main Stem in Siskiyou County: The main stem Klamath River from the Salmon River upstream to 500 feet downstream of the Scott River is Class H. This applies to all of our properties along the mid-Klamath and Lower-Klamath. 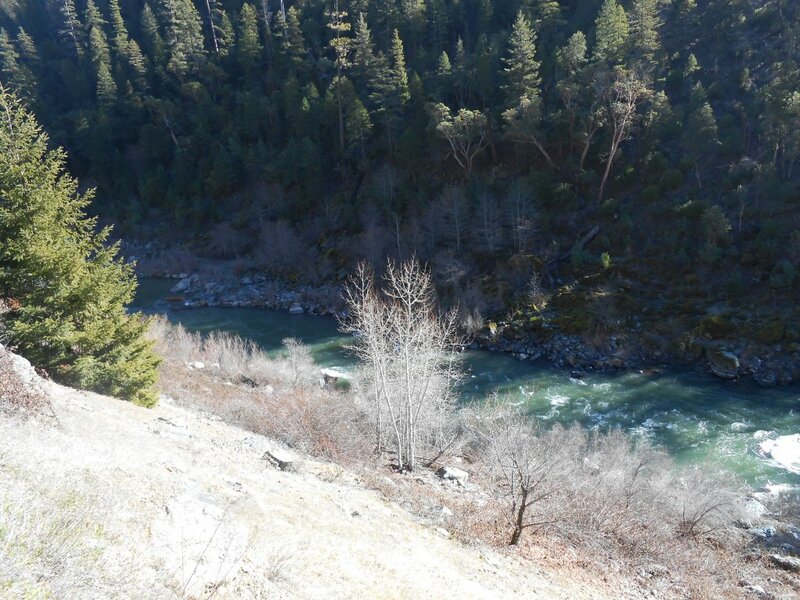 From 500 feet downstream of the Scott River upstream to Iron Gate Dam is Class G. This applies to our properties on the Upper-Klamath and Upper mid-Klamath River. 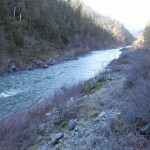 Salmon River in Siskiyou County: The main stem Salmon River is Class D; the North Fork of the Salmon River from the South Fork Salmon River upstream to the Marble Mountain Wilderness boundary is Class D.
Scott River and Tributaries in Siskiyou County are Class G.
(1) Nozzle Restriction: No suction dredge having an intake nozzle with an inside diameter larger than four inches may be used except for use on the Klamath River as outlined in (c) above unless a constricting ring with an inside diameter not larger than four inches has been attached to the intake nozzle. This constricting ring must be of solid, one-piece construction with no openings other than the intake and openings not greater than one inch between the constricting ring and nozzle. It must be welded or otherwise permanently attached over the end of the intake nozzle. No quick-release devices are permitted. (2) Hose Restriction: The inside diameter of the intake hose may not be more than two inches larger than the permitted intake nozzle size. (f) Restrictions on Methods of Operation. 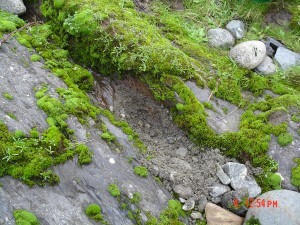 (A) Boulders and other material may only be moved within the existing water line. 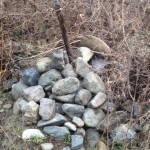 No boulders or other material shall be moved outside the water line. (B) Winching of any material embedded on banks of streams or rivers is prohibited. (C) Winching of any material into a location which deflects water into the bank is prohibited. (D) No power-winch activated shovels, buckets or rakes may be used to excavate materials in the stream course. 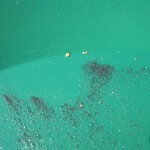 Nets and other devices may be used to collect cobbles and boulders by hand for removal from dredge holes providing the materials are not removed from within the water line. (E) No woody streamside vegetation shall be removed or damaged. Trees may be used as winch and pulley anchor points provided that precautions are taken to ensure that trunk surfaces are protected from cutting or abrasions. (2) No person may suction dredge into the bank of any stream, lake or river. (3) No person shall remove or damage woody riparian vegetation during suction dredge operations. (4) No person shall move any anchored, exposed woody debris such as root wads, stumps or logs. 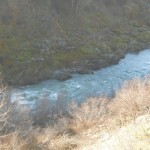 (5) No person shall divert a stream or river into the bank. (6) No person shall dam or otherwise obstruct a stream, river or lake in such a manner that fish passage is impeded. 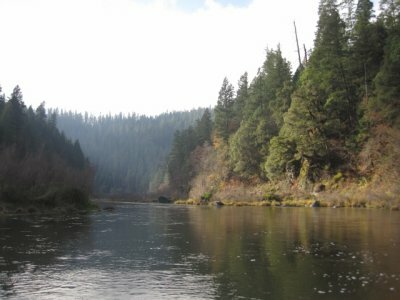 (g) Dredge concentrations: No more than 10 dredges per mile may operate along New 49’er properties at the same time along the Klamath River; no more than 5 dredges per mile along the Scott or Salmon Rivers, and no more than 3 dredges per mile along Indian, Elk or Thompson Creeks. (h) Additional restrictions: Please note that the New 49’er published Claims Guide has listed some specific areas along our properties which are off limits to suction dredging because of the location of cold water refugias that fish are alleged to rely upon during the warm water months. 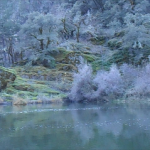 There are also some off-limit areas that are claimed to be of cultural significance to the Karuk Tribe. This subsection, along with subsection (g) remains enforced due to agreements we made with the Tribe and U.S. Forest Service many years ago, agreements which we will continue to honor. 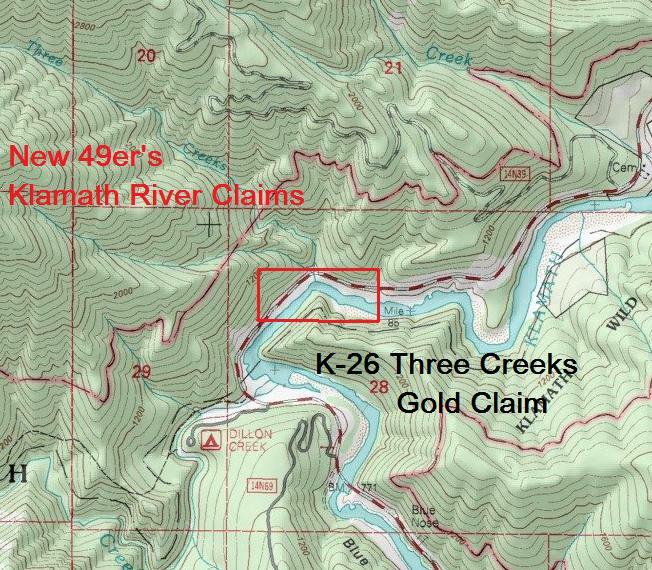 K-26 Three Creeks Gold Claim is located 20.4 miles downriver from Happy Camp, or about a quarter-mile upriver from the USFS Dillon Creek Campground. 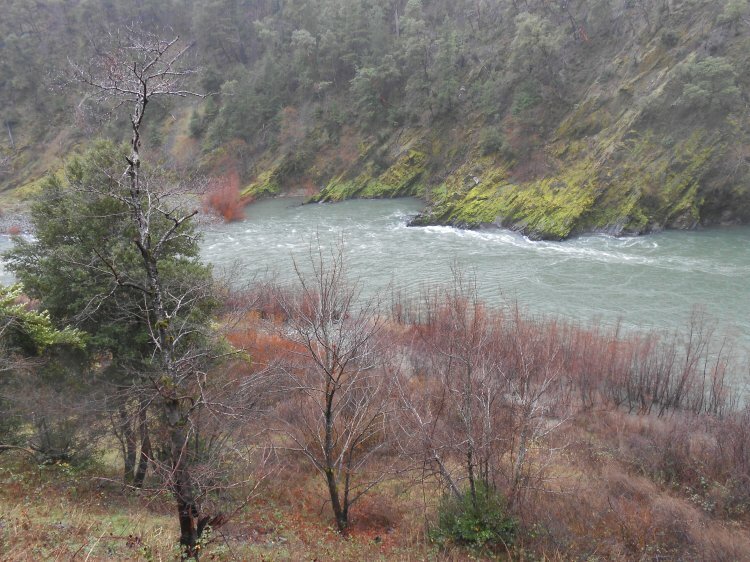 The property takes in just under a half-mile of the Klamath River. 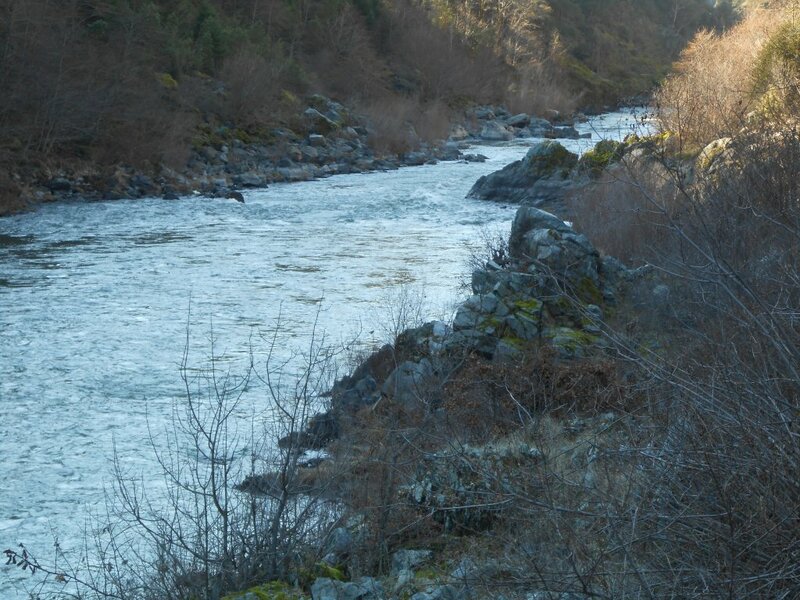 The upriver boundary can be found at Highway 96 mile marker 20.06. The nearest mile marker to the downriver boundary is 19.64. There are two roadside pull-offs located on this claim. 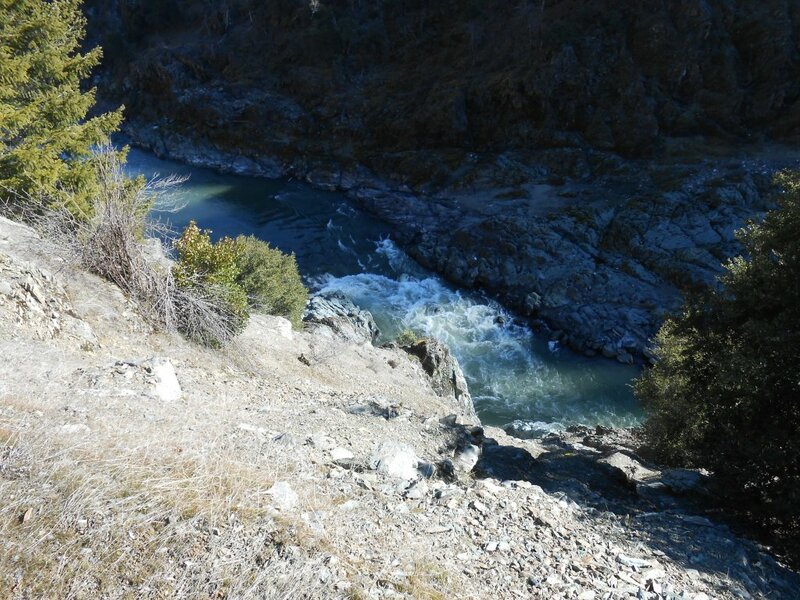 At the larger pull-off, on the upstream side of the bend in the middle of the claim, there is about 50-yards-long path that has a gentle slope all the way to the river. 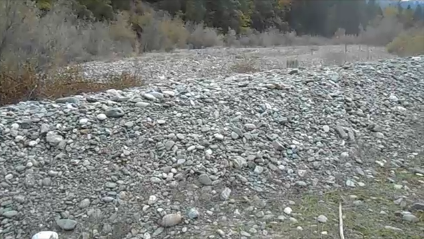 There is a gravel bar directly across the river at the upper end of the property. Please do not set up camp on the side of the road in front of the path. 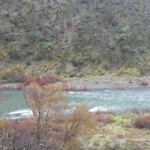 There is quite a large road-side pull-off just a short distance upriver where there is plenty of room for camping. 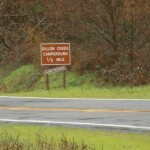 The Dillon creek campground just downstream (closed during the winter months) is a fee campground with toilets and water. 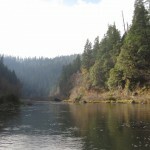 PROSPECTS: Here is another very proven section of the Klamath River. The first high-grade pay-streak that me and my partners found on the Klamath River was located about a mile downstream. 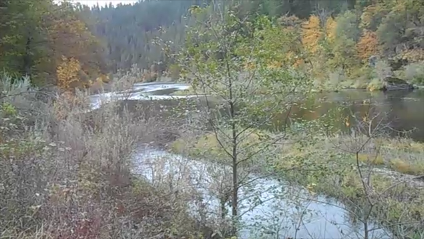 One of my original dredging students claimed this same portion of river during our first year on the Klamath in 1984. 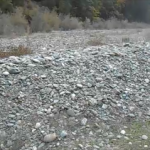 He was recovering half ounce of gold per day using a 4-inch dredge on the roadside of the river not far downstream from the rapids (easy to see where the water slows down in the video). Something happened in the person’s personal life that forced him to return home, and he never returned. To my knowledge, nobody has dredged in this section of river since that time. Don’t be surprised to see my personal dredge parked on this claim during the upcoming season! 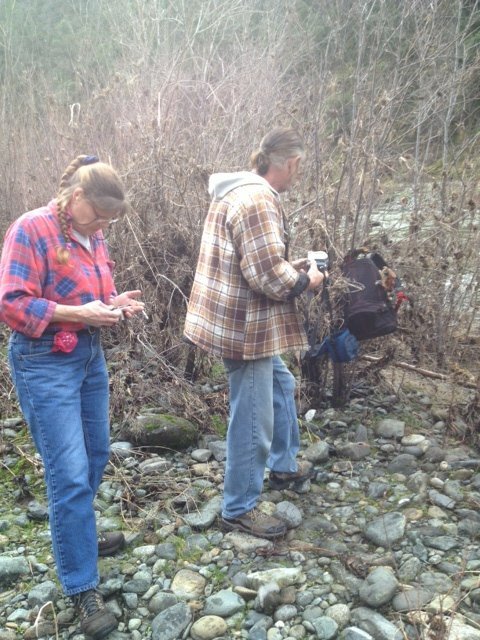 The forecast was for a break in the weather Wednesday so six of us went down to the new claim just above Dillon creek to do some sampling and enjoy a day on the river. The six of us were Mark Wayerski, Dyton Gilliland, Sandy Jones, Dickey Melton, Gary Wright and myself. It was a nice warm day even though it was overcast and we really lucked out because it has rained steady for 4 days since then and the river has risen about 12 feet above were we did our sampling. We found varying areas to sample so we split up and covered the entire claim from top to bottom. Everyone found gold in their pans, even in the sand. Gary and Dyton sampled in the bedrock at the top of the claim and found really good gold. 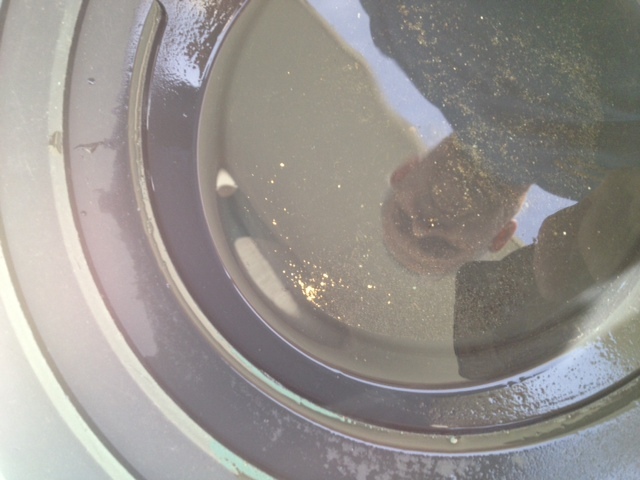 Dyton is from Alaska and commented that they never showed this much gold in their pans when out sampling in Alaska. That’s pretty cool! Sandy, Mark and Dickey sampled the gravel and sand along the middle part of the claim and were happy with what they recovered. 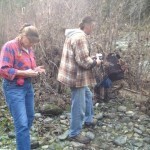 They were only digging down less than a foot where they were finding hard-packed streambed and larger boulders. The trail down to the river was very open and easy going. 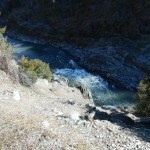 When we reached the river there was a good trail though the willows and then it opened up to some good mining areas. The willows are covered by the river since we were down there, so hopefully the flood will clear some of them out. Altogether we sampled maybe 3-4 buckets of material. We were just digging single pans at a time then taking them to the river and panning them out. 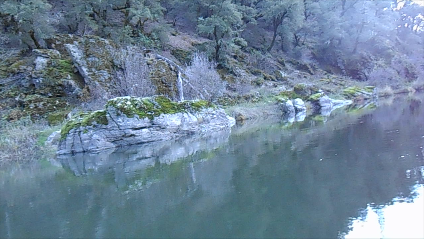 The river was higher than normal so we ran into groundwater close to the surface. 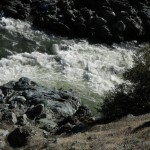 But that should not be a problem during summer flows because the river was flowing about 3-4 feet above normal. Along Highway 96 by the trail into the claim, there is a good-sized pull-out that would easily handle 6-7 rigs. Just up from the claim is a large pull-out off the highway. I predict this is going to be a very popular place with our members amongst our already extensive inventory of mining properties! This one is for the dredge! Montine in our office (530 493-2062) will be attempting to make contact with all the winners. First, I want to thank Jeff Kuykendall at Proline Mining Equipment for his generous support of our efforts to preserve the industry. Secondly, I have to shout out my greatest appreciation to all of you who participated in this fund-raiser. While it seems wise to not disclose important details to our adversaries, let me just say that the results shattered all of the previous fund-raising records we have ever done — perhaps any previous legal fund-raising record in the history of our industry! We are really on a roll. This is all because of you guys! Any legal contributions which arrive in our office after this drawing will automatically generate tickets for the next New 49’ers Legal Fund drawing. I am very pleased to announce that Garrett Metal Detectors is generously supporting this next fund-raiser with their brand new top-of-the-line ATX pulse induction gold detector. That is a $2,500 machine! The drawing will also include 20 tenth-ounce American Gold Eagles. The drawing will take place at our Saturday evening potluck on June 27. You do not need to be a member of our organization to participate. You are welcome to be at the drawing, but you do not need to be present to win. Our office will automatically generate a ticket in your name for every $10 legal contribution we receive ($100 would generate 10 tickets). There is no limit to the size or frequency of your contributions, or to the number of prizes you can win. Look for our new Paypal contribution link here. When you are considering what kind of equipment to buy for your prospecting activities, I sincerely request that you take a strong look at the products being offered by the industry manufacturers who are supporting all of our combined efforts. 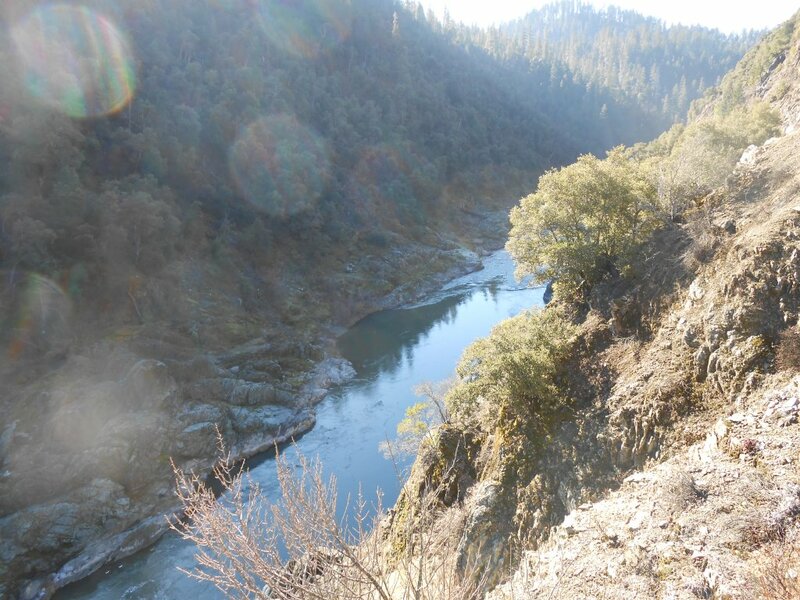 The District Court For The Eastern District of California has consented to allow The New 49’ers Legal Fund to file an Amicus Brief in the appeal of a recent case where the U.S. Forest Service criminally prosecuted a small-scale miner, John Godfrey, for hand mining with the use of a sluice box. 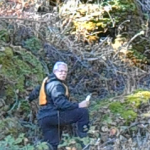 We believe the government and magistrate made a serious error by not allowing proper consideration to the Section 228 regulations which expressly state that hand mining and sluicing is completely exempt from the requirement to provide any Notice or Plan to the USFS. As long as politics don’t get involved, this one should be a slam dunk for our side. Here is the brief for your reading pleasure. We are Still Waiting for the Judge’s Order! Most of you will recall that Superior Court Judge Ochoa awarded California suction dredgers a huge win on January 12th by declaring the State of California’s “scheme” of first passing a law that requires us to obtain a permit, and then passing another law making permits unavailable, as an unlawful, un-enforceable interference with the intention of congress. This is a HUGE win for all gold miners! If you have not read it yet, I strongly encourage you to read the decision. Here is a shorter summary from our attorney. We do not expect it to alter his initial Decision, but we are waiting for a final signed Order from the judge so we can figure out how the Judgment will affect our fast-approaching 2015 suction dredging season in California! 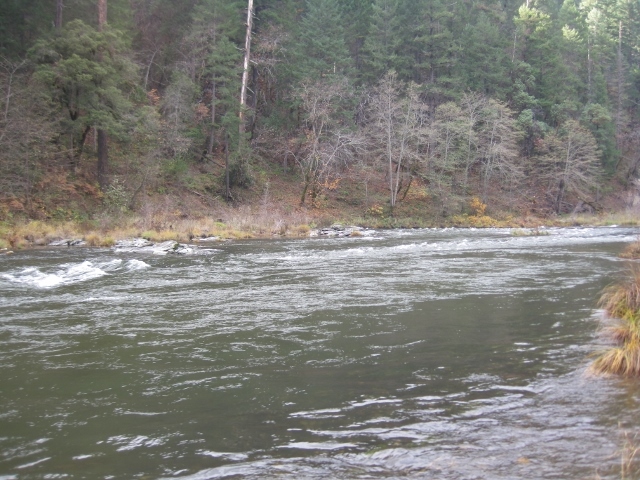 K-26 Three Creeks Gold Claim is located 20.4 miles downriver from Happy Camp, or about a quarter-mile upriver from the USFS Dillon Creek Campground. 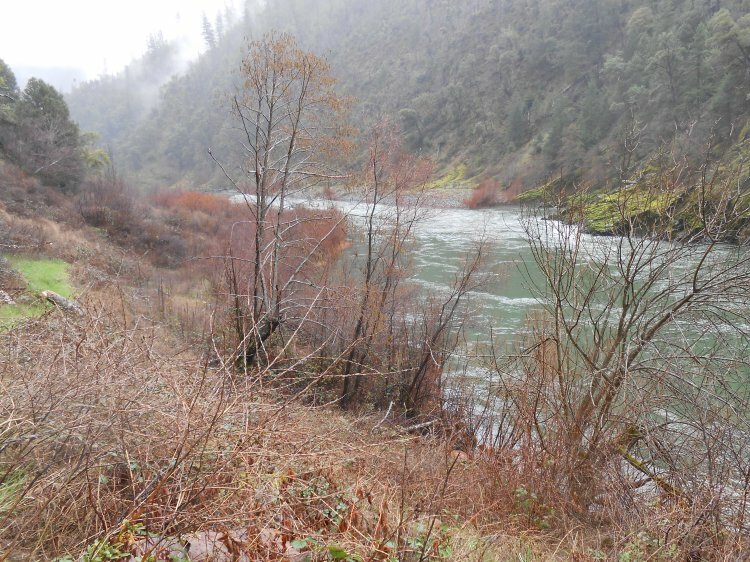 The property takes in just under a half-mile of the Klamath River. 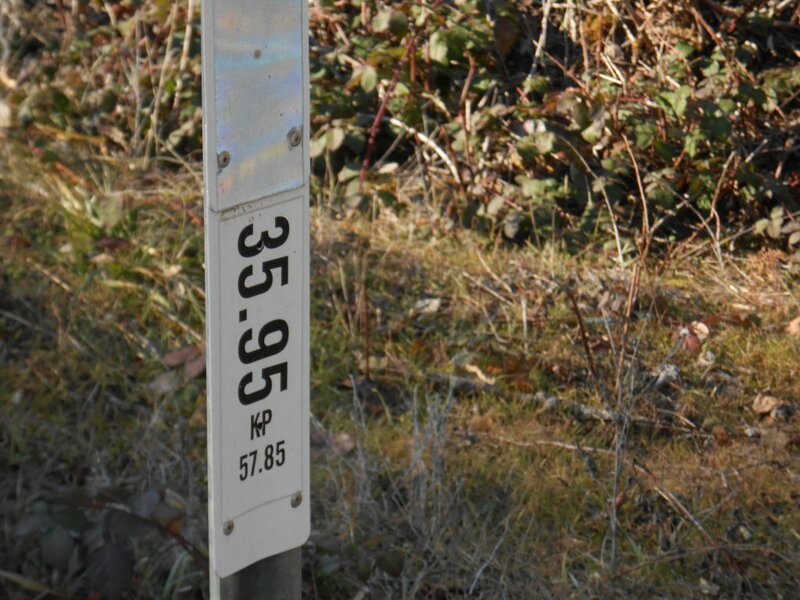 The upriver boundary can be found at Highway 96 mile marker 20.06. The nearest mile marker to the downriver boundary is 19.64. There are two large roadside pull offs located on this claim. 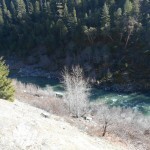 At the large pull off, on the upstream side of the bend in the middle of the claim, there is about 50-yards-long path that has a gentle slope all the way to the river. 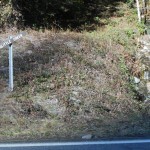 Directly across the river on the upper end is a gravel bar. 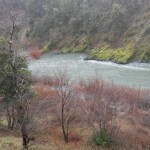 PROSPECTS: Here is another very proven section of the Klamath River. 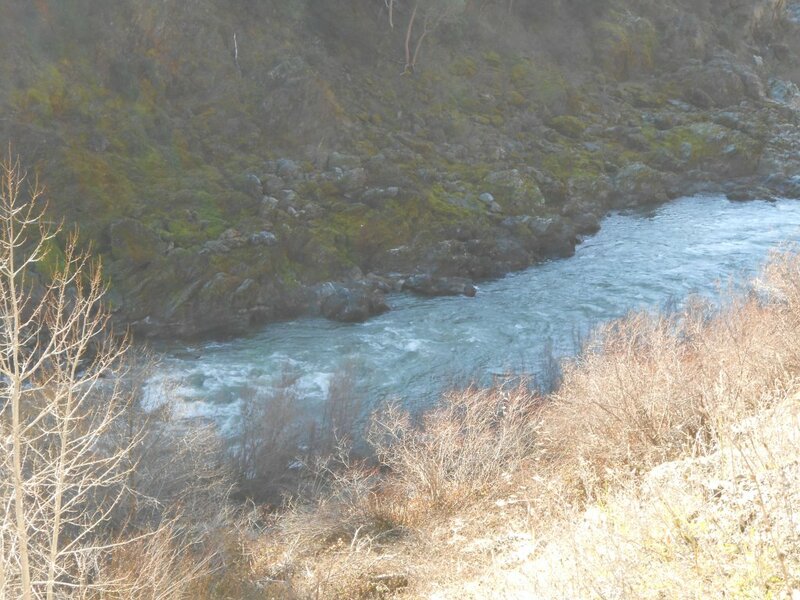 The first high-grade pay-streak Dave Mack and his partners found on the Klamath River was located about a mile downstream. 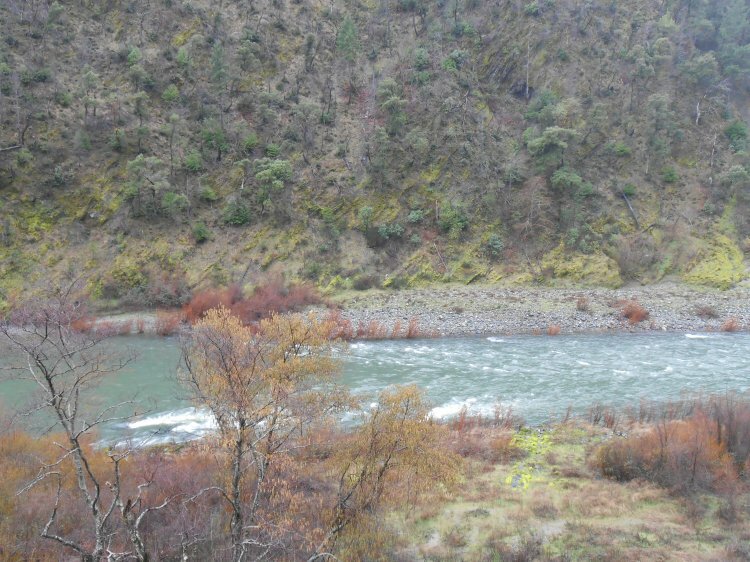 One of Dave Mack’s original dredging students claimed this same section of river during their first year on the Klamath in 1984. He was recovering half ounce of gold per day using a 4-inch dredge on the roadside of the river not far downstream from the rapids. Something happened in the person’s personal life that he had to return home, and he never returned. To our knowledge, nobody has dredged in this section of river since that time. 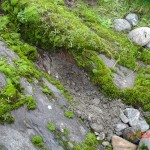 There is extensive bedrock showing on both sides of the river the entire length of this claim. 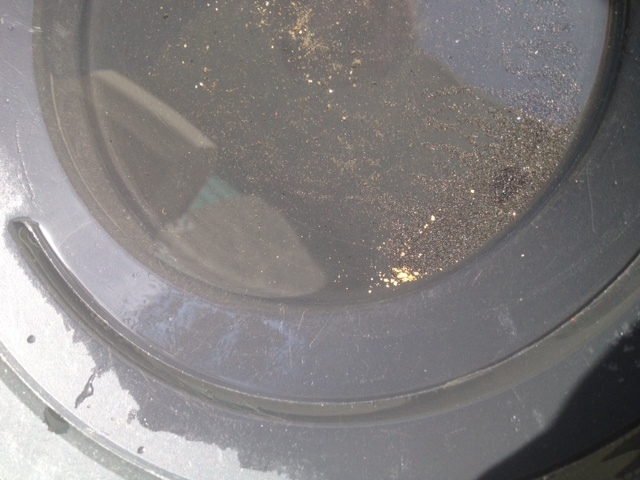 Images here display gold which was recovered by our advanced sampling team along the roadside of the river up near the pathway. We have drafted a newsletter that includes a video-enhanced story about a brand new very exciting gold discovery for surfacing gold mining activity along the lower stretch of our K-23AA property. 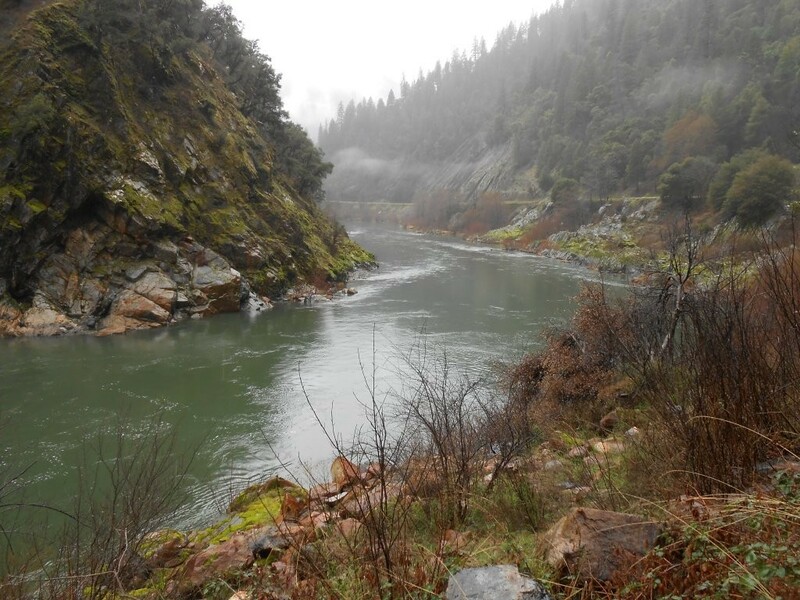 This discovery will largely affect how the upcoming gold prospecting season plays out along the Klamath River in northern California. 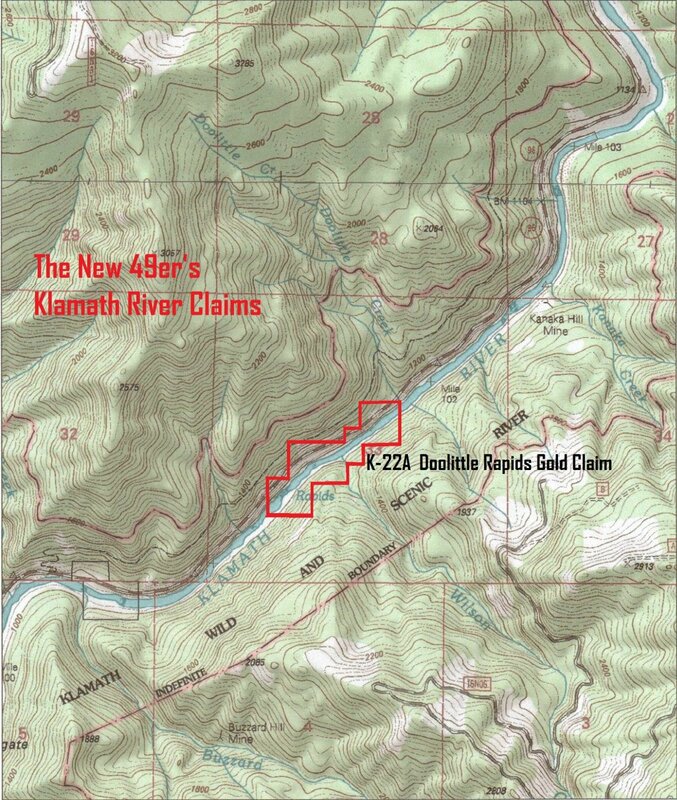 We are also releasing all the details about our new K-26 property downstream of Happy Camp where we already know of rich gold deposits in the river, and where our preliminary sampling team has been recovering gold along the edge of the river for the entire stretch of the claim. 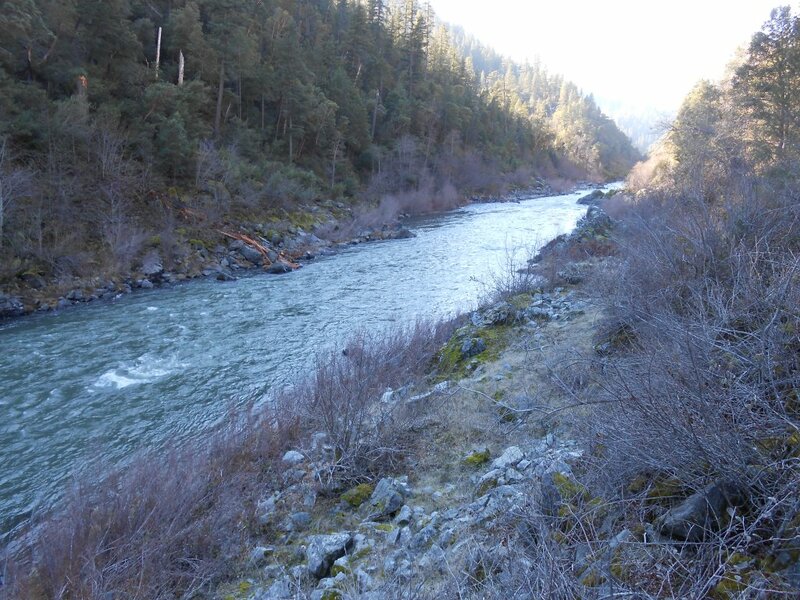 This is a property we have been waiting to acquire since my first season on the Klamath during 1984! The thing that is holding everything up is that we are still waiting for the San Bernardino Superior Court’s final Order concerning our Summary Judgment wins last month. Most of you will recall that Superior Court Judge Ochoa awarded California suction dredgers a huge win on January 12th by declaring the State of California’s “scheme” of first passing a law that requires us to obtain a permit, and then passing another law making permits unavailable, as an unlawful, un-enforceable interference with the intention of congress. This is a HUGE win for all gold miners! However, we are waiting for a final signed Order from the judge so we can figure out how the Judgment will affect our 2015 suction dredging season in California! Normally, we would delay putting something out to you guys until we receive the Order. But this month is different because The New 49’ers Legal Fund ongoing drawing will take place in just a few weeks. 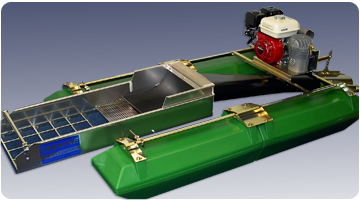 The Fund will be giving away the best set of prizes ever: Proline Manufacturing has contributed a brand new 4-inch suction dredge as the grand prize. There are also 20 American Gold Eagles! The drawing will take place just before the close of business at our headquarters in Happy Camp on Friday evening, 27 February 2015. You do not need to be a member of our organization to participate. You are welcome to be at the drawing, but you do not need to be present to win. Our office will automatically generate a ticket in your name for every $10 legal contribution we receive ($100 would generate 10 tickets, etc.). There is no limit to the size or frequency of your contributions, or to the number of prizes you can win. Look for more information here. $10.00 each – Enter the number of tickets you wish to purchase into the quantity field then click “Update” before checking out. Since the drawing date is coming up in just a few weeks, and we don’t know how many more days or weeks we will need to wait for the Judge’s Order, we have decided to hold back the bulk of the newsletter for the moment and get this out to you. Please help us make this the most productive legal fund-raiser ever! As always, we greatly appreciate whatever you can do. San Bernardino Superior Court Judge Ochoa awarded California suction dredgers a huge win on January 12th by declaring California’s “scheme” of first passing a law that requires us to obtain a permit, and then passing another law making permits unavailable, as an unlawful interference with the intention of congress. This is truly a great win for all gold miners! Since we have invested so much for such a long time to get here, I strongly encourage you to read the decision. There are different perspectives circulating around the industry on how this ruling will affect the coming 2015 dredging season. But I will voice my own opinion that at least until the California Supreme Court weighs in (or chooses not to) on the recent Rinehart Decision (we will know within a few weeks), I do not believe there is any chance the State of California could successfully prosecute any person for operating a suction dredge without a permit. For your benefit and mine, it is important that I disclose that I am not a licensed attorney. So I cannot provide legal advice. Since there is not much certainty remaining these days when it comes to legal matters, it is important that we seek our own council from people we trust, and we must each find our own way. My own opinion is that the end result of all this is going to hinge upon what the California Supreme Court decides to do about the State’s Petition for review of the Rinehart Decision, along with their request to have it de-published. There is much more about this in last month’s newsletter. 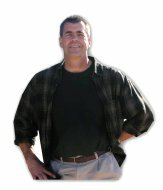 If the Rinehart decision is allowed to stand, my thinking is that a healthy portion of the ongoing litigation in San Bernardino will become insignificant, and the entire burden is going to be placed upon the State to come up with a reasonable set of regulations which protect their interests while not placing a material interference upon mining. In those instances where material interference is necessary (such as to protect an endangered species), the State will have to be willing to pay property owners for their losses. 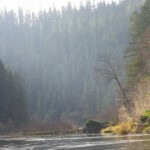 Until they finally do come up with a reasonable permit scheme, it doesn’t appear that the State can successfully prosecute anyone for operating a suction dredge. Though I would not be surprised to see them make another try at it; we will have to see. Stay closely tuned, because the California Supreme Court must decide whether to review Rinehart even before you will see the next newsletter. For those of you who want to stay updated, I suggest you join our free Internet Message Forum. Today we have an important ruling in San Bernardino that basically has declared California’s existing permit “scheme” as unlawful and unenforceable. That sure is a long way from where we started! Once again, I want to thank all of you who have supported this effort. It just goes to show that sometimes the good guys actually do win! 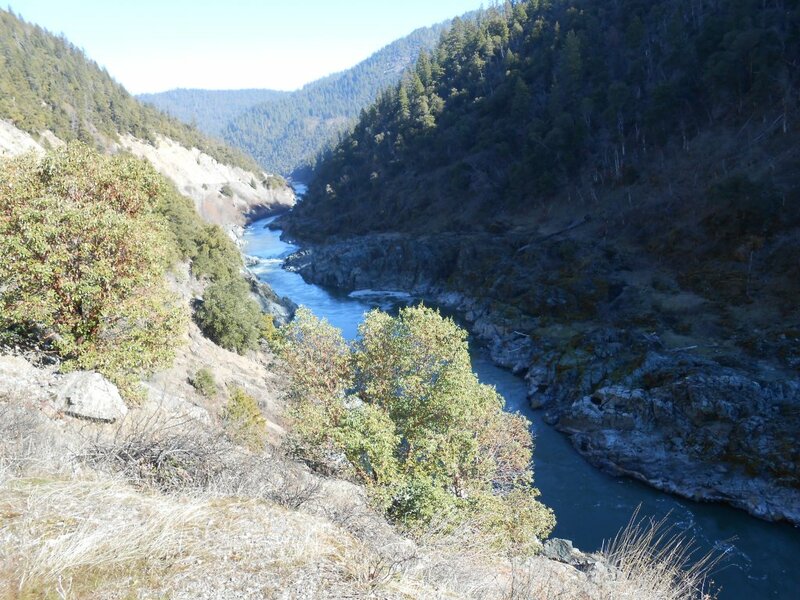 I am pleased to announce that we have acquired 2.4 miles of the Klamath River downstream of China Point and have extended the upper boundary of our Gordons Ferry property (K-18) another half-mile upriver. This adds nearly 3 miles to our extensive property holdings. These have already been added to our Claims Guide which is also available from the office. Pan samples there have turned up gold out of the exposed bedrock cracks, and the advanced sampling team was excited about trying out our new form of gravity mining and some booming in the areas where the old-timers left off. 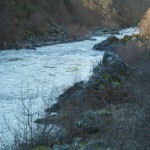 This stretch of river is mostly a remote canyon that does not include dangerous rapids. Our advanced sampling team voyaged through by rubber raft and described the area as so remote; it reminded them of something out of the movie, Jurassic Park. Our initial impression is that the stretch is going to be ideal for crevice mining and suction dredging. Google earth view of the entire claim, the location of private property, and our Gordon’s Ferry location downstream. 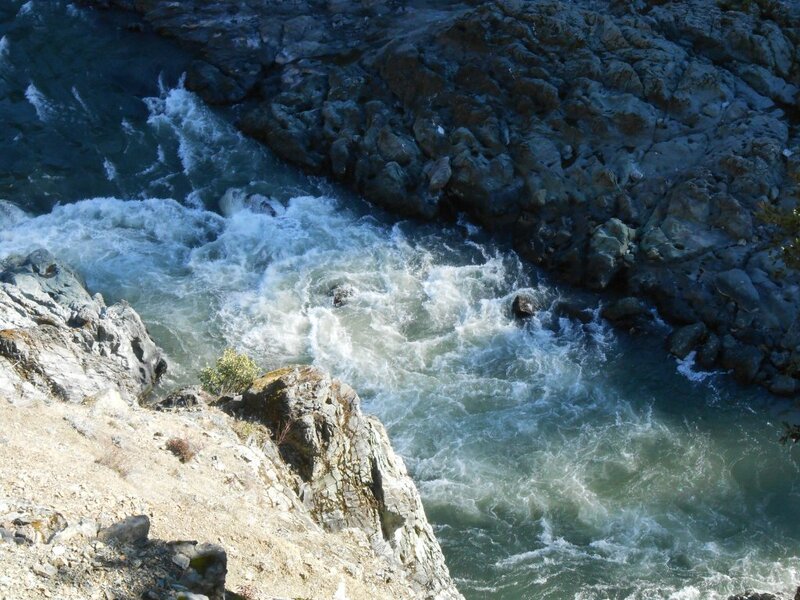 There are just a very few long, remote stretches of the gold-bearing Klamath river that are not blocked by dangerous white water. In fact, this may be the only one. So we are very lucky to have it! PROSPECTS: Because of remote access, we suggest almost no prospecting has taken place in this area during the modern age. 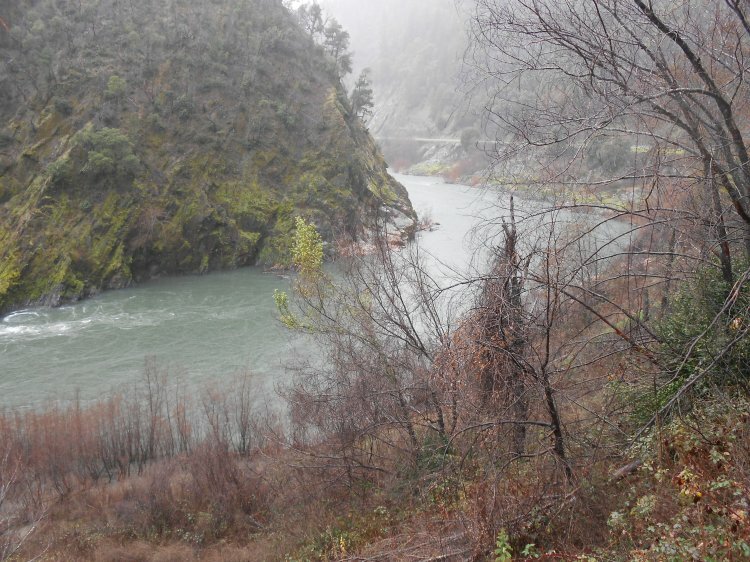 Shortly before the dredge moratorium took effect in California, several of our members devoted about a month of dredging directly at the top end of this property. They were bringing their gold into the office for us to see; and the golden treasure they recovered, consisting of mostly large flakes and nuggets, took our breaths away! 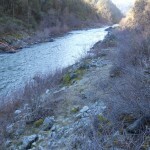 This is a very proven, rich section of the Klamath River, with gold mining history going back to the very early days. Members have done exceptionally well both in and alongside the river on our Gordon’s Ferry Claim just downriver. Note: parts of this announcement were borrowed from a GPAA announcement. For those who have not heard, I am saddened to announce that Public Lands for the People (PLP) founder and president, Jerry Hobbs, has passed away after a long battle with kidney and heart disease. He was 71 years old. PLP is a land rights advocacy group. 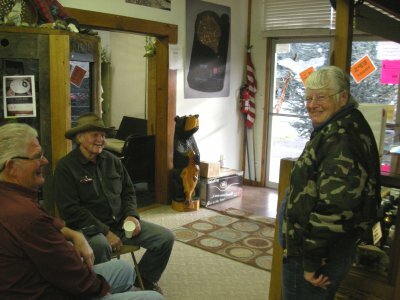 The membership-based, non-profit organization was established in 1990 and has been fighting to keep public lands open for multiple uses, including prospecting and mining. They are equally responsible for the recent legal battles we have won. Jerry joined the U.S. Marines after graduating high school in Pueblo, Colo. After leaving the Marine Corps, he moved to California from Colorado and became involved in gold mining. He supported himself by dredging for gold in the Mother Lode region for several years and then moved to Azusa, Calif., where he opened a gold prospecting store, Azusa Gold. Jerry was first and foremost a miner. He was tough, and he was strong. He believed in conservative principles, the U.S. Constitution and the Mining Law of 1872. He fought against big government interference in the daily lives of prospectors and miners. He was not afraid to speak up and stand up for the rights of others. He was a freedom fighter; and despite being delivered some knockout punches in life, he always rose to his feet for the next round. He never let down his guard. He was steadfast in his belief in the rights of the individual and was fiercely independent. Jerry served as president of PLP for more than a decade until his passing. He also served as vice president under past presidents Barry Wetherby and Dee Stapp, both close personal friends. He was also friends with Pat Keene, who also was instrumental in forming PLP. Jerry had thousands of friends and supporters. While there is always some differing opinions on the sidelines of our industry, Jerry was highly regarded and respected by all of our industry leaders. I first met Jerry in 1993 during the first attempt by the State of California to completely eliminate suction dredge mining. It was that dire situation which brought most or all of California small-scale mining community together in a united front. Barry Wetherby, Terry & Dee Stapp, Pat Keene, Jerry and several others were there representing PLP and the southern part of the state. Several other industry giants were present throughout that very tiresome and lengthy process: Ron Stockman was representing the Motherlode Miners Association and Goldhounds. Lyn Gunn, who was smarter than everyone put together, represented the Miners Alliance and the Trinity County area. Both Ron and Lyn passed on years ago. 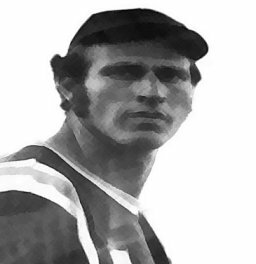 John Oats represented the Shasta Miners. There was a guy named Dennis Raft who represented GPAA. He’s also not around, anymore. I was representing The New 49’ers and the mining community of Siskiyou County. There were a few others that came and went. But I believe it would be safe to say that this was the first string of players who represented small-scale gold mining during the modern age in California. The truth is that, between ourselves, we disagreed on nearly everything. The thing that held us together was the determination we all shared to save our industry. Serious gold miners are generally a hard-headed bunch of independent nonconformists. You are required to be this way to overcome Mother Nature’s formidable obstacles to recover golden treasure from the earth or the bottom of raging rivers. Miners are tough. We don’t like to ask for permission – from anyone. This is especially true about things we have the right to do in the first place! This nature places us in direct confrontation with government agencies and anti-mining activists that seek to make mining more difficult than it already is. We are fighting for freedom! Our nature also often puts us at odds with each other on the different paths we could take to defend our industry. Jerry and I often disagreed on tactics. The same situation existed between most of us who were actively fighting for the industry back in the 90’s, and even today. None of us have ever disagreed on the ultimate destination. All or most of us have matured through the process, realizing that we can disagree without becoming enemies. I am certain that it was the combination of our separate approaches, along with the efforts of other industry leaders, and the overwhelming support of the industry, that saved our day in 1994 – and also during these more recent times. That initial very substantial effort kept our industry strong all the way until the suction dredge moratorium was imposed upon California in 2009. That was quite an accomplishment considering we did it without attorneys; something that would be impossible these days. Most everyone knew Jerry during his later years as he was getting older and struggling with health issues. He just looked and acted like a good old guy (unless you got into an argument with him). That’s the reason I am printing the image of Jerry that was taken when his body was younger. That’s who he really was! Jerry was a warrior all the way to his last breath. And, although he would cringe at the thought of being called a martyr, there is no doubt that he sacrificed most of his life for the sake of others and to preserve the small-scale gold mining industry. Above all, Jerry was a man of principle and was loyal to his members and the industry. He would not accept compromise! He believed miners have already given up too much ground. 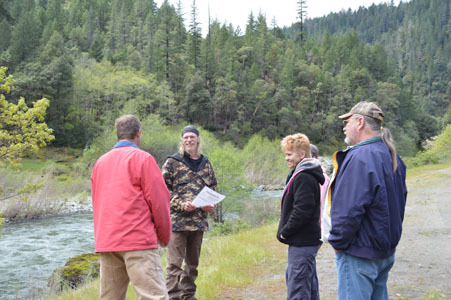 Many people don’t know it was Jerry Hobbs that took up the fight to defend two small-scale miners on the South Fork of the Salmon River that ultimately resulted in the landmark Decision of Lex & Waggner. 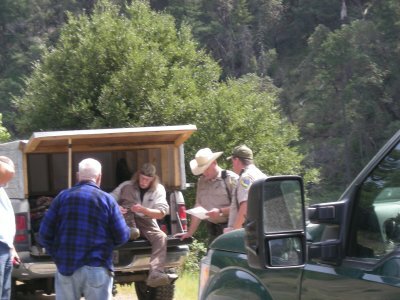 That case effectively neutralized an ongoing U.S. Forest Service policy of abusing miners on the public lands and ultimately resulted in the USFS Section 228 Rules that support our industry today. Jerry was the first to take up the more recent fight to defend Brandon Rinehart who was being criminally prosecuted for having the courage to make a stand against California’s suction dredge moratorium. If Jerry had not taken the initiative to lead that charge, there is a reasonable chance we would not be where we are today. If I had to sum up my own recollection of what Jerry said over and over again, sometimes loud enough to silence the whole room, it was this: “The government does not have the authority to materially interfere with mining on the public lands!” We all agreed with this. Our internal struggles have always been about how to get the government to see it our way. Jerry’s view above summarizes what the Third Appellate Court recently decided in Brandon Rinehart’s case. That was the most important win in support of small-scale mining in the modern age. And it is a fantastic legacy for the first wave of our industry defenders to leave behind. Most of them are gone now. But new leaders are emerging. Jerry Hobbs fought harder than anyone else to get us here. I am so glad he lived long enough to see his dream come true. And I’m sure he is in a good place smiling at Judge Ochoa’s Decision this week. Come on you guys; let’s make this the most successful fund-raiser in the history of our industry! 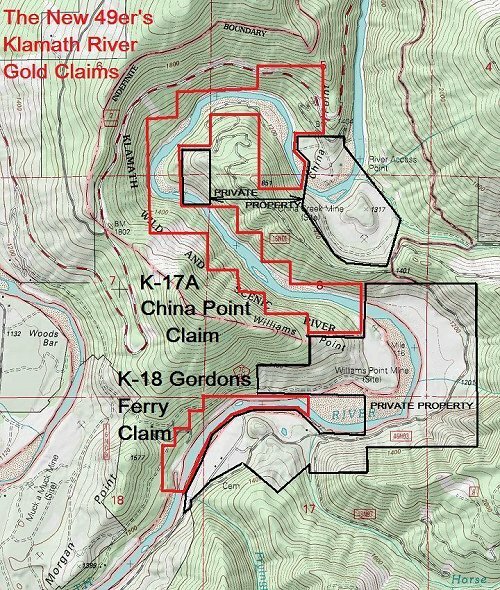 K-17A CHINA POINT CLAIM – The upper boundary of this property can be located by driving upriver from Davis Road in Happy Camp on Highway 96 a distance of 5.75 miles to China Point Road. 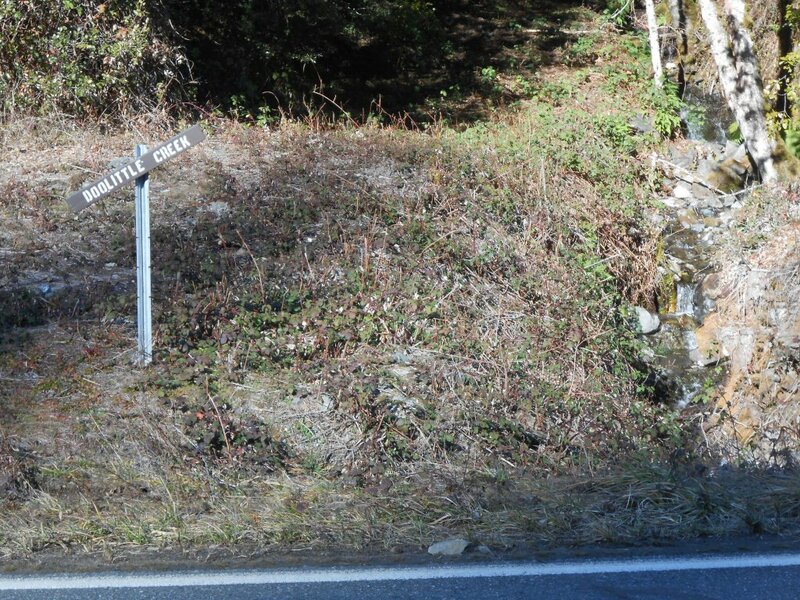 (Note: The USFS gate to this road is now locked because of a large slide which occurred during 2016) You can follow China Point Road directly to the river where there is plenty of room for parking and short term camping. 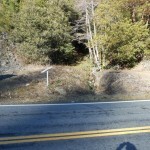 Having said that, there are several difficult hairpin turns and rather steep areas along the road, so you should drive down for a look before deciding to pull a trailer or drive an RV down there. 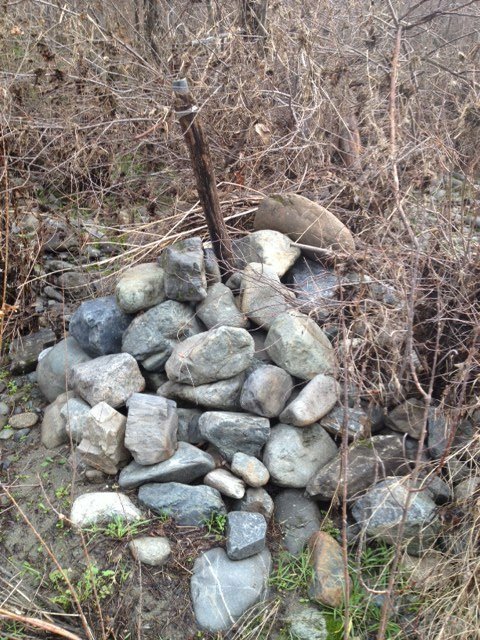 The upriver claim boundary is located near the bottom of the large gravel bar that China Creek Road leads to. 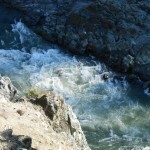 The downriver boundary is located approximately 2.3 miles downriver. 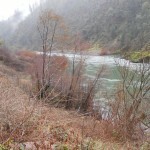 With the exception of USFS Road #16NO1 which reaches the property on the other side of the river, this is an entirely remote section of the Klamath River. To reach USFS Road #16NO1from Happy Camp, you drive .7 miles downriver from Davis Road on Highway 96 to where Elk Creek Road veers off to the left and crosses the bridge over the Klamath River. 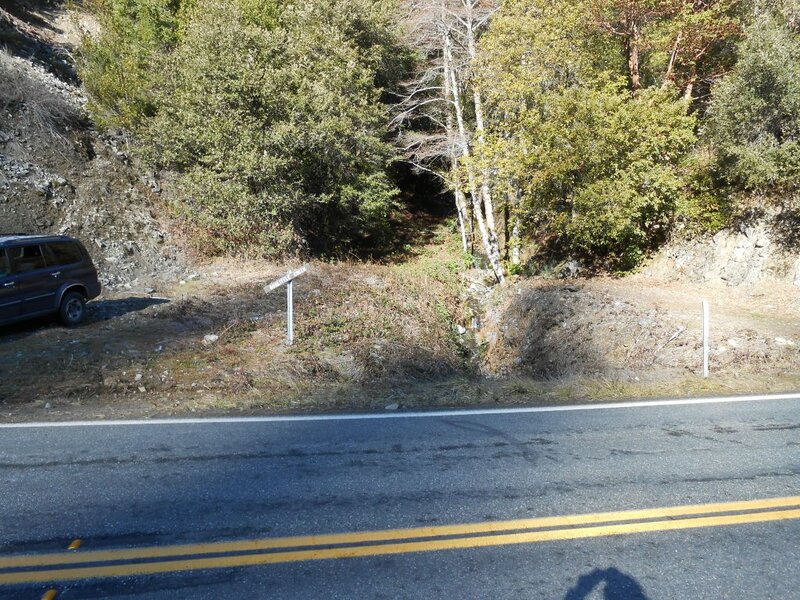 Just after crossing the bridge, you take a left on China Grade Road and follow it 8.1 miles to where you will find USFS road number 16NO1 on the left side. 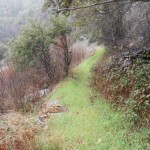 The Forest Service has seasonal closures on the many roads in our area, which includes 16N01. 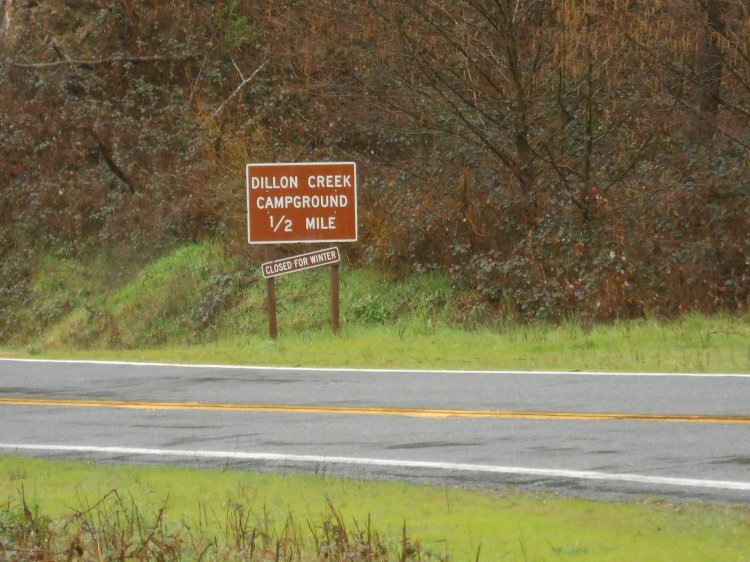 The gates to these roads are normally opened by the Forest Service (USFS) from April 1st to November 15th unless there are circumstances such as late heavy rains or snow that would prevent them from unlocking the gates. It’s still too early to tell, but our initial guess is that the best way to gain full access to this claim is by launching a raft or small boat from China Point River Access and then getting picked up later in the day (or week) at the river access on our Gordon’s Ferry Claim (K-18). The distance between the two points is just a little more than 3 beautiful miles. With the exception of a 1-mile stretch of private property (see maps), we have mineral access to the entire stretch. The floating distance is short enough that you could make day trips in and out of your mining site. 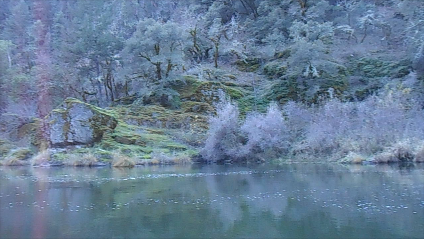 Or, this would be a fantastic area to do some remote camping along the river. 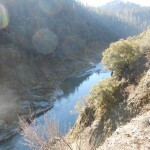 PROSPECTS: This portion of the river has a very rich mining history. Though, because of remote access, we suggest almost no prospecting has taken place in this area during the modern age. 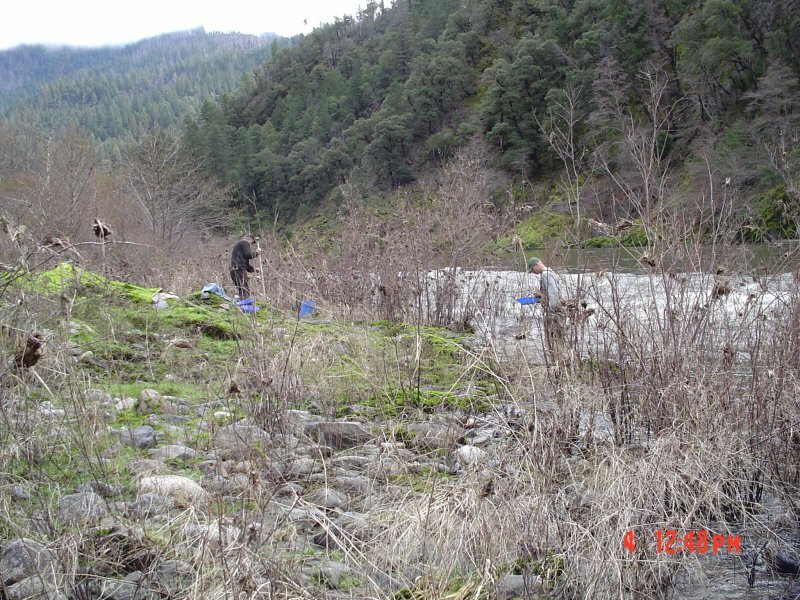 Shortly before the dredge moratorium took effect in California, several of our members devoted about a month of dredging directly at the top end of this property. They were bringing their gold into the office for us to see; and the golden treasure they recovered, consisting of mostly large flakes and nuggets, took our breaths away! 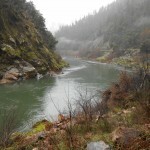 This is a very proven, rich section of the Klamath River, with gold mining history going back to the very early days. Members have done exceptionally well both in and alongside the river on our Gordon’s Ferry Claim just downriver. 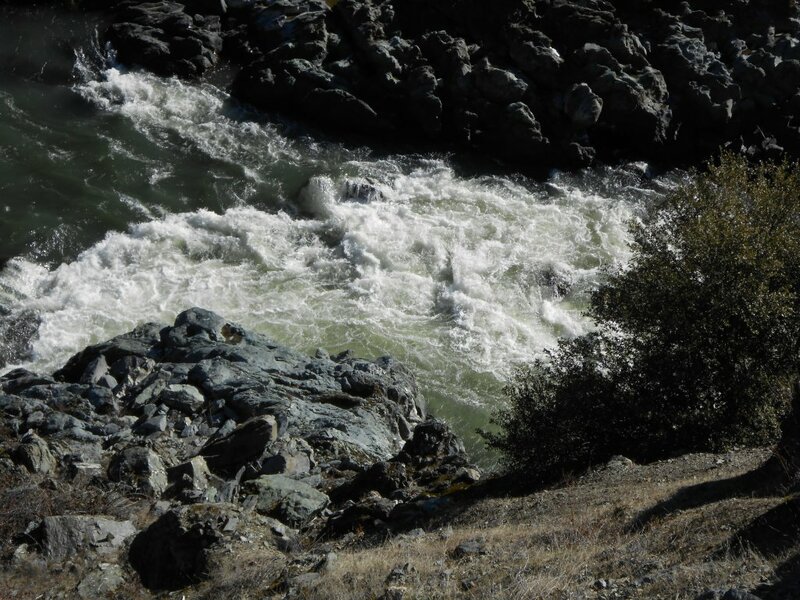 K-22A Doolittle Rapids – is another extension of a very long stretch of contiguous river claims which extend over 8 miles to our Richardson Bedrock property a short distance upstream from Happy Camp. 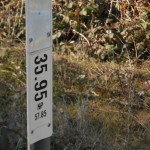 The lower boundary is located at Highway 96 mile marker 35.5. This is mostly canyon property where few prospectors have been before. 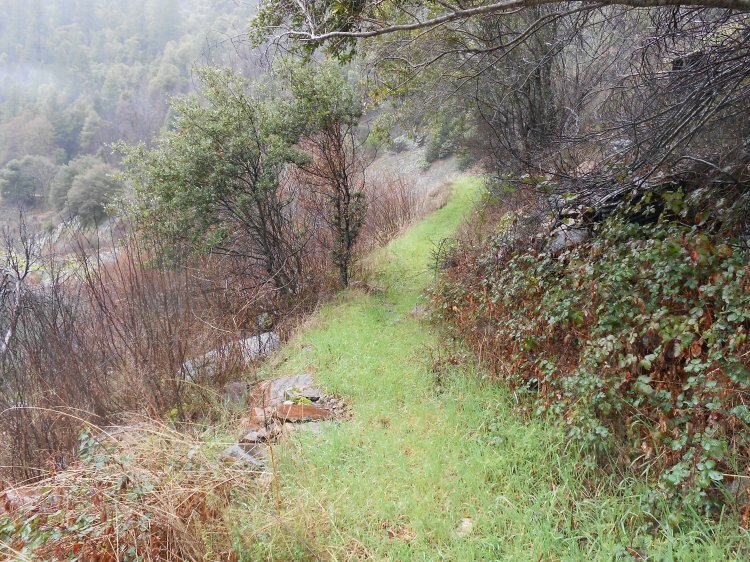 Some primitive paths and trails have been created to gain access, mostly up towards Doolittle Creek. 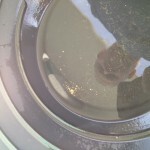 PROSPECTS: The claims upstream have produced rich gold deposits from top to bottom, with members recovering many, many ounces during the past several years. A lot of dredging was done upstream of the canyon several years ago. There has also been some productive dredging activity in and around the lower end of the canyon. 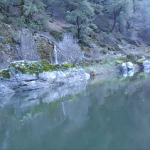 There is exposed and shallow bedrock on both sides of the river, creating completely unexplored above and below water crevicing opportunities. For the most part, this long stretch of river has not been prospected or mined-and the prospects are exceptional.